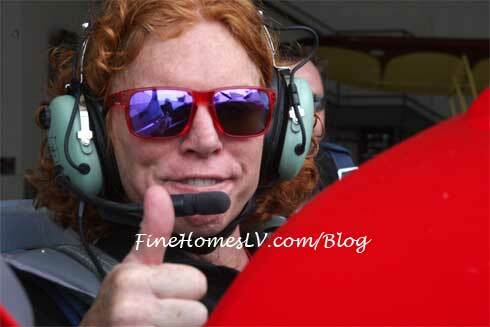 Comedian Carrot Top, known for his fire red hair and wild props, took on the adventure-of-a-lifetime with Sky Combat Ace (SCA) – Vegas’ most extreme attraction on July 31. The funnyman suited up for a thrilling flight filled with spins, barrel rolls, hammerheads and loops miles above the glittering Strip. He took to the Nevada skies battling his F-16 pilot brother, fulfilling his Top Gun fantasy.